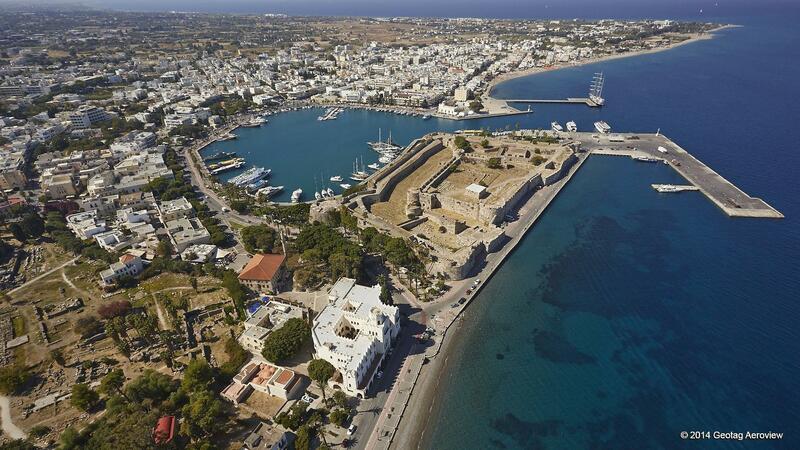 The island of Kos is located in the southeastern Aegean Sea and is 187 nautical miles away from Piraeus port. It is considered the third largest Island (283 square kilometers) in the Dodecanese after Rhodes and Karpathos and the second most populated after Rhodes. On the 20th of July 2017 the island was hit by a strong earthquake (6.2 on the Richter scale) and its main port facilities suffered severe and widespread damages. 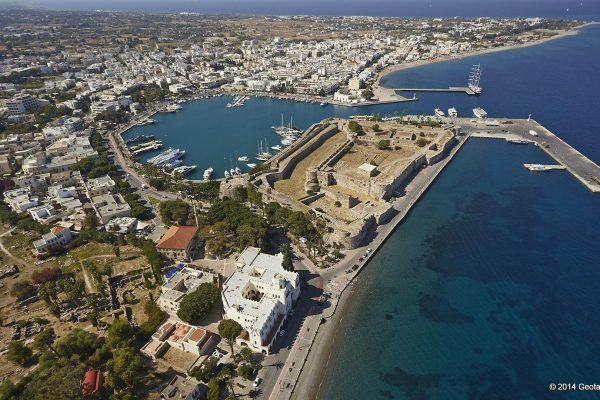 In view of those extensive damages, the municipal port authority of Kos decided to investigate the possibility of expanding the capacity of the current facilities in order to improve the cruise and coastal shipping functions. Following a tender, CNWAY was appointed by the Municipal port Authority of Kos to proceed in a timely manner with the above study. 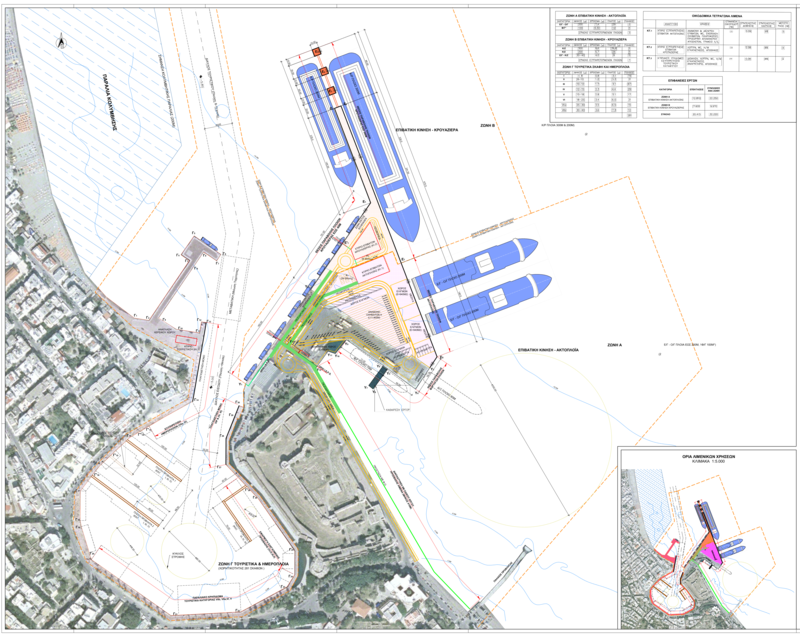 Expansion and re-arrangement of Cruise Terminal, allocation of terminal building and related berths. 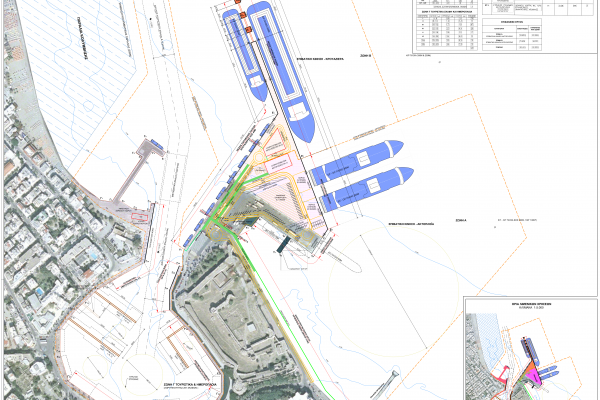 Re-configuration of the existing wet slips, re–design of the access and inner channels as well as land areas of the old Mandraki port, with respect to the site historic heritage. The total pleasure boat capacity of the proposed layout is estimated to be two hundred eighty one (281) vessels.